Are you looking for the hottest picks in costumes this season? Halloween isn’t just for kids anymore, as we see more adults getting in on the Halloween action with extravagant theme parties and elaborate costumes. Get into the spirit as we count down the top 10 Halloween costumes 2018. It wouldn’t be Halloween without someone dressing up as a real life persona. This year’s top celebrity Halloween costumes are the good ole boys of Duck Dynasty. Willie’s ever present flag bandanna is worn over a wig for full Roberson effect. The outfit also comes with Willie’s dark, bushy beard and a camouflage vest. And yes, the pattern on the vest is ducks. Adorned with the Duck Dynasty title on both the bandanna and vest, even babies can catch the fever with the toddler version of the Willie costume. Of course, it’s not Duck Dynasty without Uncle Si, the true hunter and swamp master. With a vest that matches Willie’s, Uncle Si also wears the matching ball cap. Along with the miserly gray beard and wig, Uncle Si won’t go far without his glasses. Add your pair of roughed up blue jeans to be transformed into one of America’s most beloved rednecks. Quick – who’s your favorite monster? This year finds Godzilla crashing his way to #9 among the top 10 Halloween costumes 2017. Not only is the kid’s version made for hours of traveling from door-to-door in search of candy, this Godzilla suit ups the ante as far as cool costumes go. Boys will be in perfect creature form from head to tail to boot covered toes in their inflatable Godzilla costume. Yes, you read that correctly – inflatable! It even comes with a battery operated the fan to see your child through to his (or her) very last stop in the neighborhood. Should we be disturbed by how many people can’t wait to become “Property of Litchfield Penitentiary”? Orange is the New Black has made jailhouse fashion a must for Halloween. Female inmates can choose from Piper’s trademark orange shirt and pants, fully labeled as prison wear. Or there’s always the light tan version. Fans of Red will be hungry for the master chef’s kitchen garb, complete with the double breasted jacket, with RED dutifully stitched on the left. Then again, Pornstache’s uniform is just as popular with a flag patch cresting the sleeve of the light blue shirt. The walkie-talkie resting on the shoulder seals the deal for the drug-smuggling corrections officer of Litchfield Pen. Is there a girl of any age who doesn’t want to be Maleficent? The most famous party crasher in fairy tale history, Maleficent is making a mark on Halloween this year as well. Who would dare defy the dark mistress in her officially licensed black gown as worn to that infamous baby christening? From the winged collar to the signature horns, Maleficent will have everyone cowering in her presence. 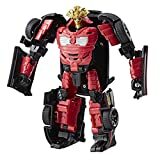 Transformers are a classic for any age and any gender. This year, thanks to the new Transformers movie, Age of Extinction, Optimus Prime and BumbleBee are patrolling the streets and mingling at parties. Fully detailed, officially licensed costumes transform anyone into fearless Autobots; protecting the naïve inhabitants of planet Earth from the Decepticons. The most iconic and easily recognized characters ever; Dorothy, The Tin Man, Cowardly Lion, Scarecrow, Glinda the Good Witch and of-course, the best villain of all time – The Wicked Witch of the West. The ultimate group theme for Halloween haunts and trick-or-treating, with so many characters to choose from, The Wizard of Oz is the definitive party theme when October 31st rolls around. Always a favorite, costumes from The Wizard of Oz are top Halloween costumes 2017 as they are every year. With the new movie release just in time for fall costume sales, the Teenage Mutant Ninja Turtles are back with a vengeance for the top Halloween costumes 2017. Going green takes on a whole new meaning when Leonardo, Michelangelo, Raphael, and Donatello surface from the sewers to fight crime under the direction of their teacher and adoptive father, Splinter. Licensed costumes are available for kids and adults so Dads can share the glory of turtle power with the next generation on Halloween night. 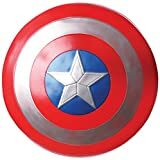 Rubies Captain America: The Winter Soldier Retro Costume Shield, 24"
A comic book classic was given new life and a new look thanks to The Winter Soldier. Young boys can choose which costume they like best for Halloween. The retro Captain America with the familiar white star on the chest along with red and white stripes inspired by Old Glory is a winner for all ages. But then again, the Winter Soldier costume, a muscled bodysuit in dark blue that marks the Captain’s journey into stealth fighting is a must-have for fans of this movie sequel. Marvel’s galactic troop of misfit heroes are taking Halloween by storm this year. The hugely popular Guardians of the Galaxy are banding together for a trick-or-treat mission. A furry favorite, Rocket Raccoon, is a showstopper from head to toe. A muscle-bound jumpsuit and matching face mask will transform boys into the powerful Drax the Destroyer. Everyone’s favorite outlaw-turned-hero, Star-Lord makes a splash with a full length, a molded jacket that will have your defender taking on evil-doers throughout the universe. Of course, let’s not forget the ultimate girl power exhibited by Gamora, the tough as nails heroine, in her green and black jumpsuit. Is it shocking that the characters from Disney’s Frozen are ranking #1 on the top 10 Halloween costumes 2017? 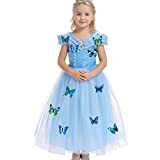 Elsa’s cool Snow Queen costume in icy blue with snowflake overlays is already putting Mom’s in a shopping frenzy. There are two costume choices for girls who wish to become her heroic sister, Anna. The classic princes’ dress, with a black bodice and regally purple skirt, or the golden, flowing skirt with black bodice she wore her sister’s fateful coronation ceremony. Of course, the girls are not the only characters to make it big from Frozen. The cast just isn’t complete without the lovable and quirky snowman, Olaf. Ideal for either girls or boys, the body of this costume is two perfectly proportioned snowballs with the headpiece lining up as the third. It’s time to put aside that less-than-ghostly bed sheet and dress up in style this year! The top Halloween costumes 2017 covers fairy tale classics, veteran superheroes, and redneck celebrities. From the polished princesses to green and mean wickedness, this year will see vibrant color coupled with comfortable wear to make 2017 the best Halloween ever!